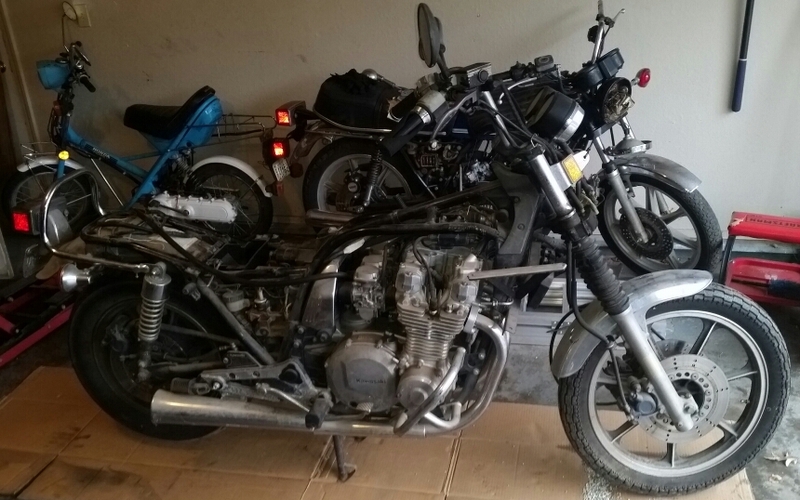 After flipping a KZ1000 Police bike and gifting a 77 RD400 to my father in law, I had this big gaping hole in my garage that I needed to fill. So it worked out great that Rich was looking to part with his 83 KZ1100ltd. Drove a good 2-3 hours to pick up the bike along with a mountain of parts, Vetter fairings, and hard bags. Somehow, with the help of Rich and his son, we got the bike and all the parts into the truck. Everything rode well enough back home and now there be no more hole in the garage. Problem solved! 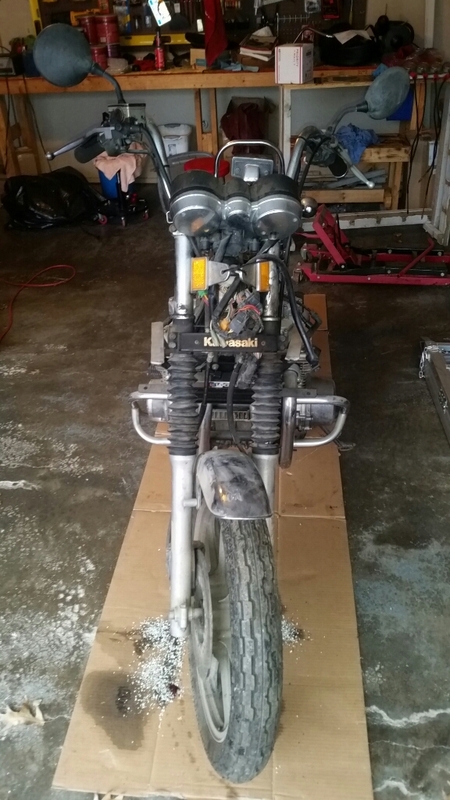 Looking to keep this one close to stock and just give it a complete refresh: powder coat the frame, new bearings all around, rebuild the forks, master cylinders, etc... This is my first full teardown and rebuild but I'm confident I won't screw things up too bad! 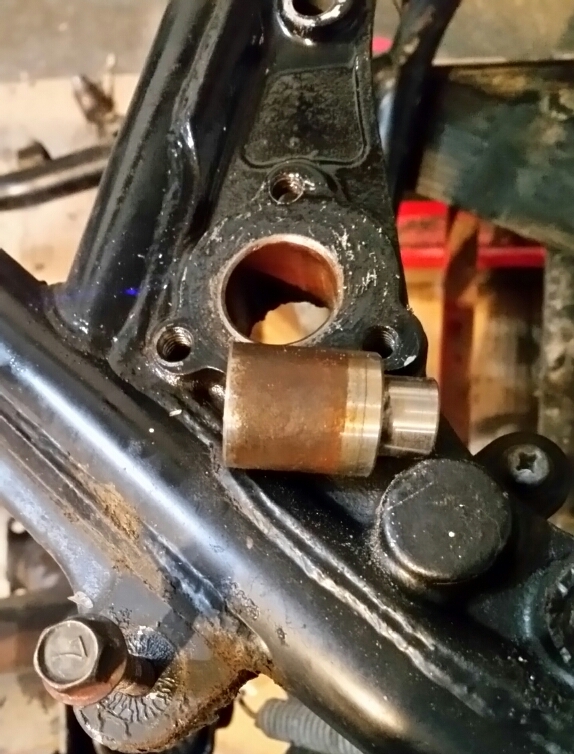 Pulling everything off frame was straightforward enough, except for the swing arm bushings. 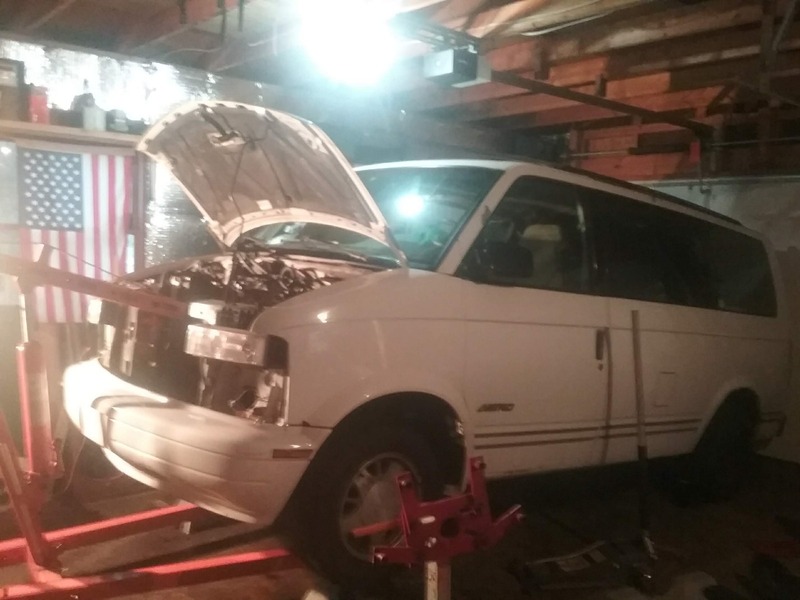 The service manual's instructions to thread a bolt into the bushing and pull were not effective so I must turn to the collective wisdom of the internet to provide inspiration on how to solve my problem. 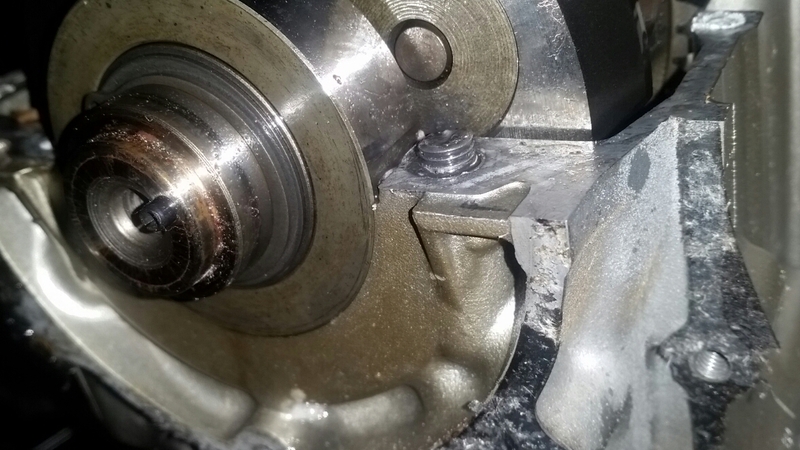 Most of the solutions I found involved fastening some manner of a slide hammer and pounding the bushings out. Folks mostly seemed to have used vise grips to build a slide hammer or drilled and tapped the bushing to match a slide hammer they already possessed. Having reviewed other's solutions to my problem, I needed to identify a course of action which was both expedient and (more importantly) cheap. Time to soak the bushings in liquid wrench while I ponder. Since I do not posses a slide hammer and am not fond of drilling out the bushing to 5/8-18 to accommodate a rental slide hammer, I decided I shall fashion one myself. Seems simple enough, a slide hammer consists of a threaded rod, a large mass, and a stopper. A few bucks of hardware later I have my slide hammer and am feeling pretty proud of myself. 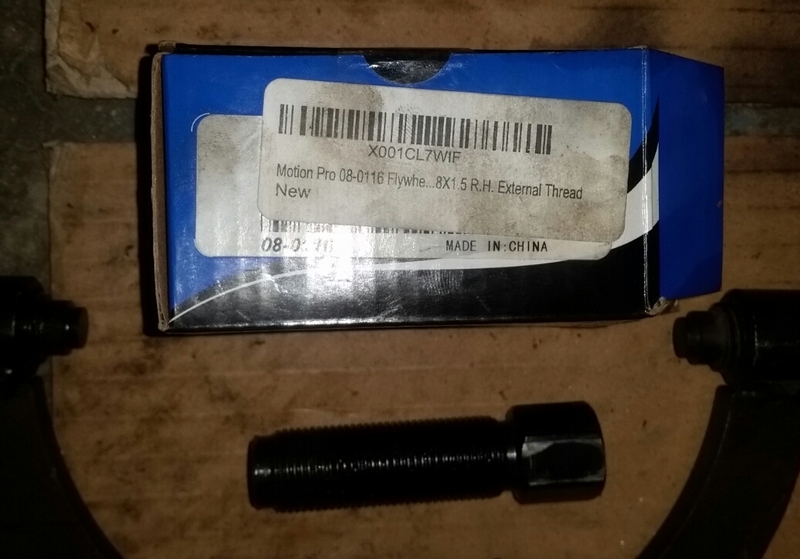 A M5x0.8 threaded rod, the heaviest impact socket I've got, a couple washers and a flanged nut. 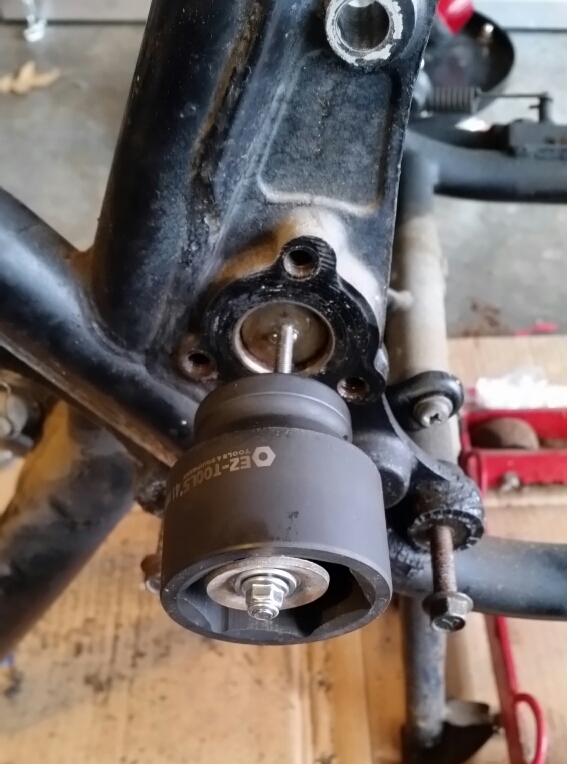 After applying some heat to the frame around the bushing and a far bit of persistence, this setup actually worked. But only on one side. 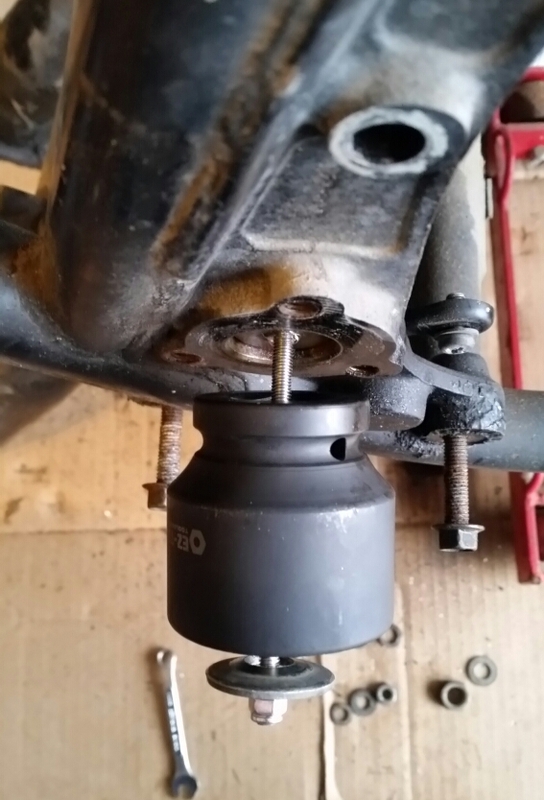 The right side bushing was more stubborn and required a different solution. 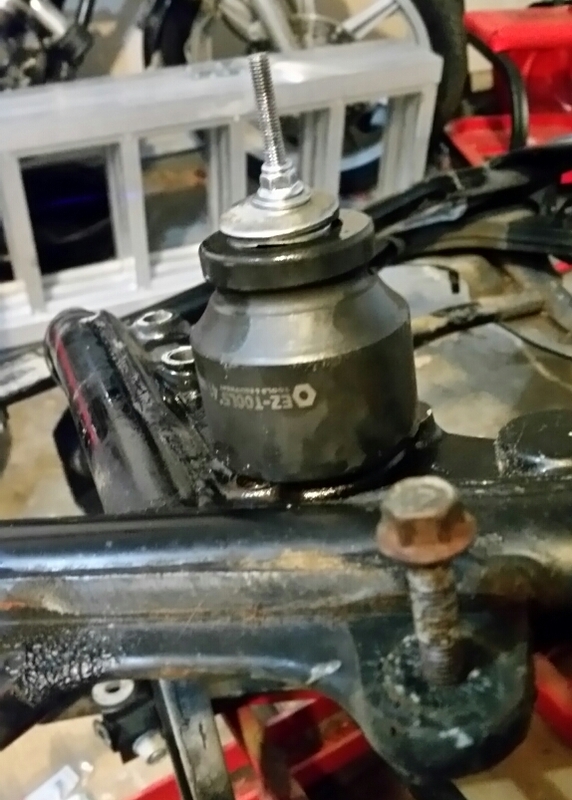 Inspiration struck and I rotated the impact socket around and used the tool like a flywheel puller, tightening the nut with an 8mm wrench. 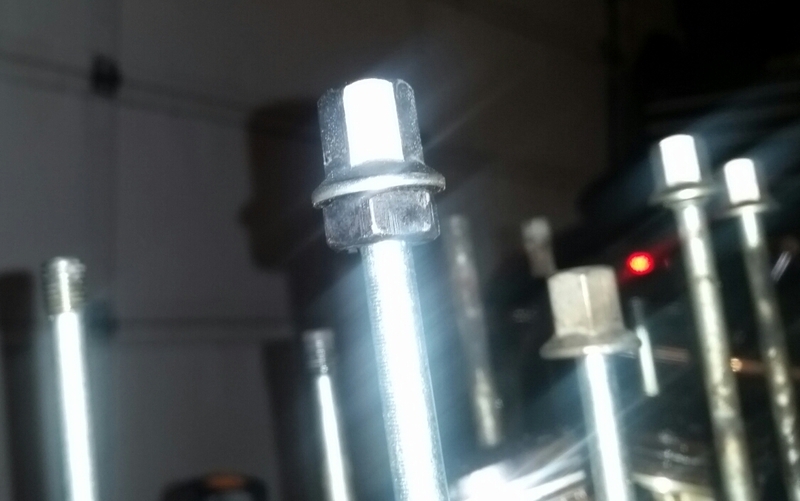 The little threaded rod held up and the bushing finally came out. Time for a celebratory beer! 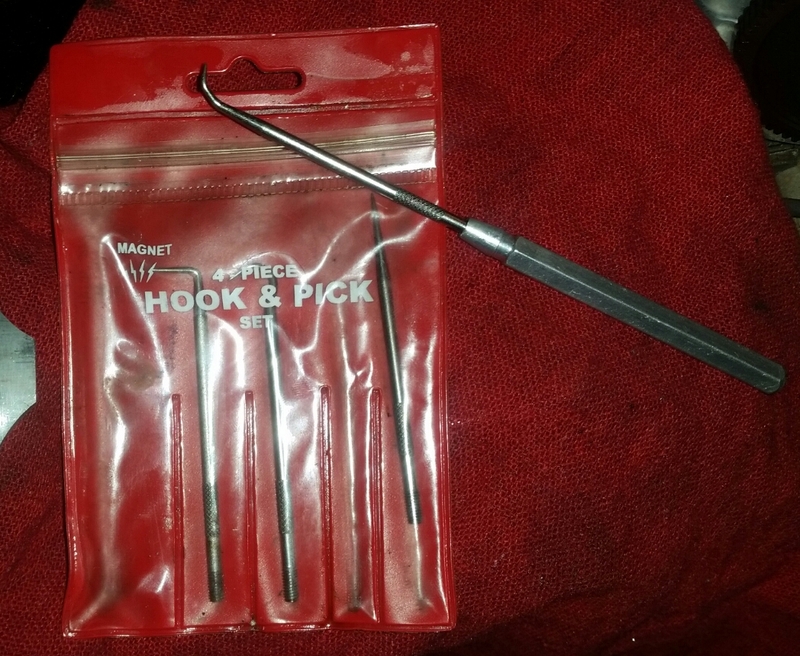 Well done CCrosswait, self made tools are the best and cheap solution if you have the brain to construct them by your self. Nasty job, but somebody's got to do it at least once in half a century. Did the swing arm maintenance on my 1100 way back in 2010. Gonna watch this thread closely. 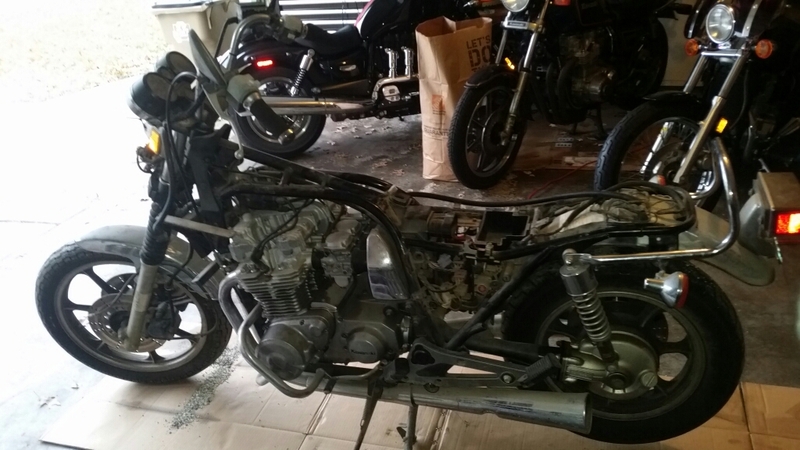 I'm hoping to strip my bike (83 KZ1100A) down and rebuild it soon, or atleast get some systems rebuilt. Craig, I'm glad it found a good home and that you're finding it rewarding. I'll look in now and again to watch the progress. Should make for a good bike for the right guy. For anybody who's interested, Craig is a very stand up guy, I was pleased to make his acquaintance. Rich wrote: For anybody who's interested, Craig is a very stand up guy, I was pleased to make his acquaintance. Well thanks for saying so Rich. Getting the frame and other bits ready to get media blasted and powder coated. Along with the frame I plan on having the motor mounts (front and rear) top triple clamp, swing arm and support bar, battery box, center and side stands, and the swing arm bushing cover plates. Anyone see any red flags or omitted parts in the above list? Calipers? What about the piece that the pegs attach to? M_a_t_t wrote: Calipers? What about the piece that the pegs attach to? Calipers are a good call. Is powder coat appropriate for brake fluid or do they need special paint? The foot peg mount is mostly bare metal and I think I'm going to keep it original. Powder coat is supposed to be chemical resistant. I don't think I've read anything about brake fluid specifically though. Just to be clear you don't want to powdercoat the inside of the caliper, just the outside. I have some powdercoated sockets I made I can try one in some brake fluid if you would like. I used Harbor freight powder though so not as good as a "professional" powder probably. What about the kawasaki logo/bracket in the front on the forks? You can do a two tone powdercoat or just black and sand the letters down. And the lower half of the forks? M_a_t_t wrote: Just to be clear you don't want to powdercoat the inside of the caliper, just the outside. I have some powdercoated sockets I made I can try one in some brake fluid if you would like. Yes, it was understood that the internal bore of the calipers would be masked. If you are willing to run an experiment on your powder coated sockets then I would be interested in the results. Not sure of the best way to expose the sockets. You think just soak one for a couple days? Began tearing into the engine today. Current plan is to blow it apart and deep clean, buff, polish, etc and get it back together. I'd already removed the head and cylinder when the engine was still in the frame. Fortunately, nothing was rusty and the pistons weren't seized. I wanted to capture some of the disassembly. Not as a 'how to' but as a 'how I'. I started with the alternator/starter clutch assembly. 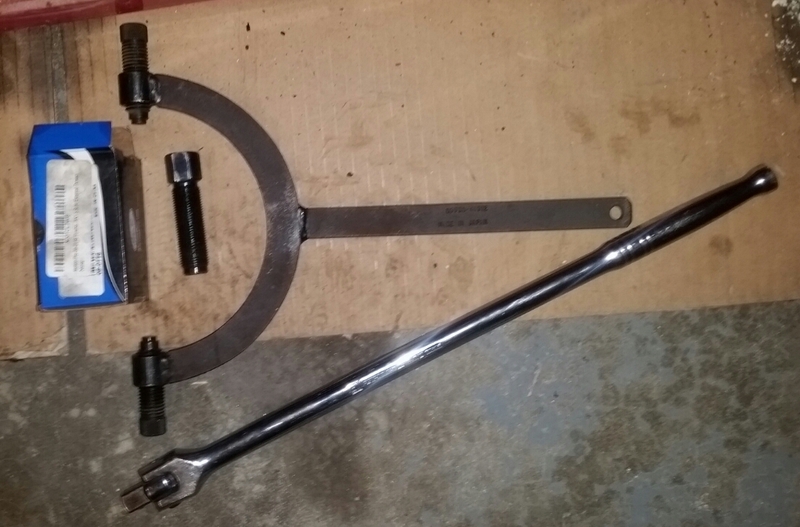 I used the following rotor holder and a flywheel puller. 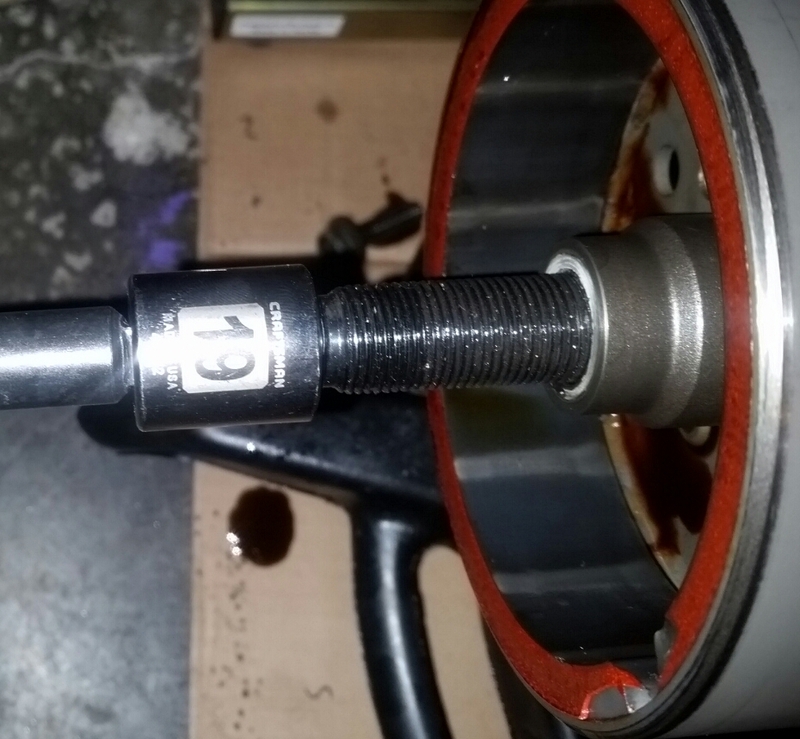 I started by removing the large bolt on the end of the crankshaft. Took a 17mm socket. 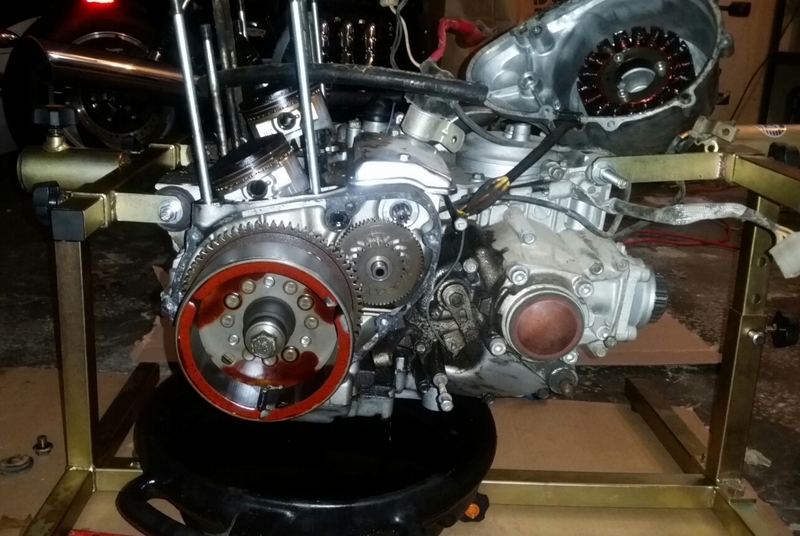 Then installed the flywheel puller, a 19mm socket. Then placed the holder in the holes on the OD of the rotor. 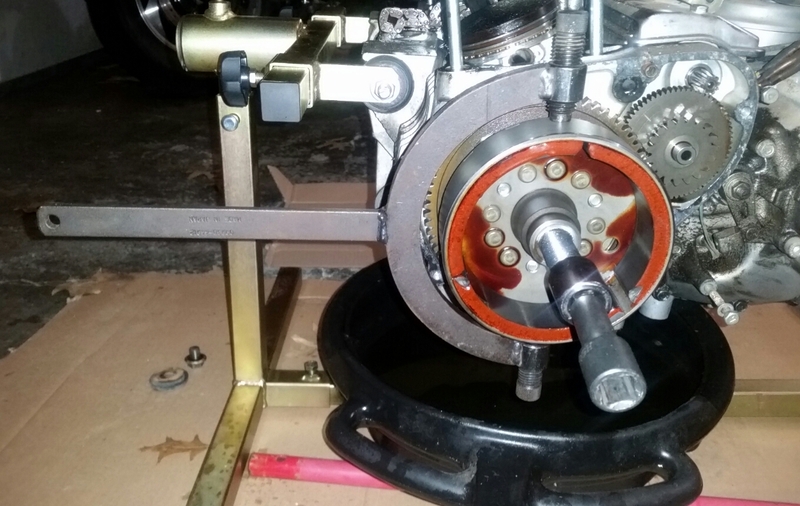 Then tighten the flywheel puller and use the holder to prevent the rotor from spinning. Also removed the cylinder studs. I like the double nut method. I like to use new nuts and the head nuts from the bike. Presoaked the stud threads with liquid wrench. Have also used heat on more stubborn studs but that wasn't necessary this time. New nut on bottom and head nut on top. 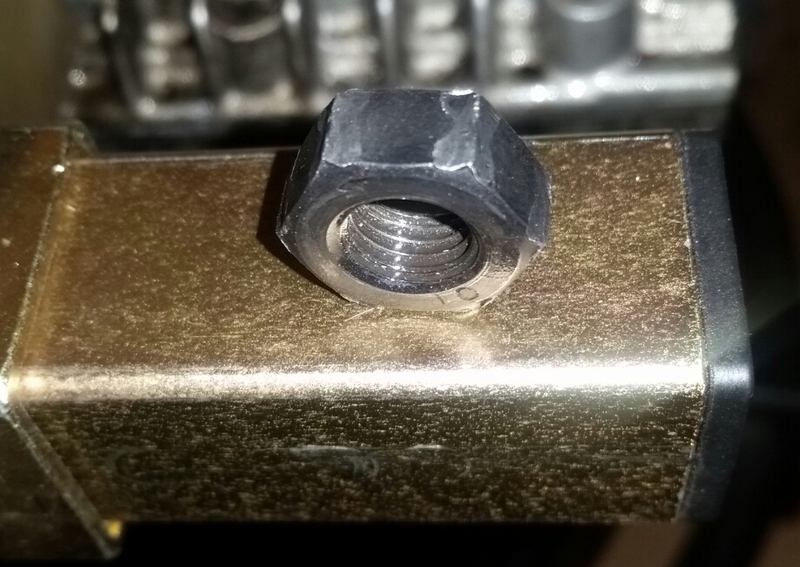 I like to use an impact to tighten the top nut and hold the bottom nut with a wrench. Note that to do this with the closed end of the wrench you have to have the wrench in place over the stud before the head nut is installed. If the stud is tight then I turn the stud 1/2 turn out and a quarter turn back in until the stud turns freely. Once I can move the stud with my fingers I zip the top nut off with the impact and try to not drop the nut into the open engine! This method will beat the nut up pretty bad so I use several head nuts and toss the bottom nut. Removing the studs makes removing the pistons easier. 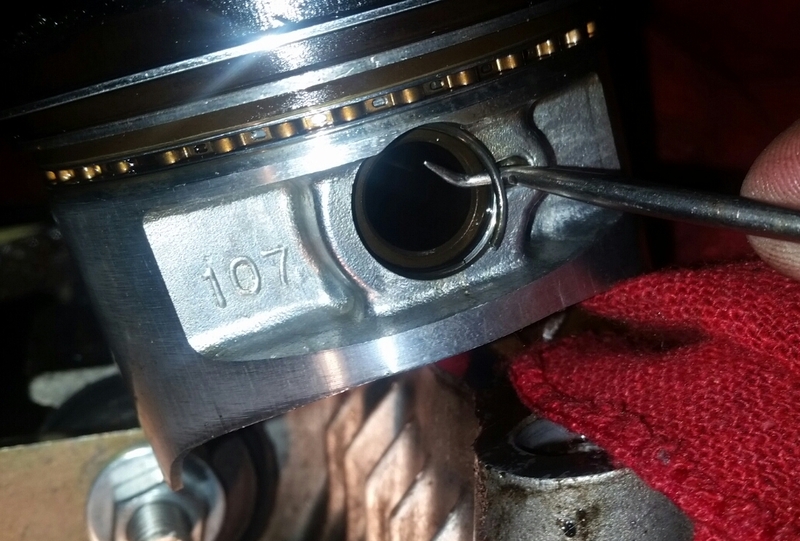 Placed a rag over the openings under the pistons and use a pick to pop out the piston snap ring. 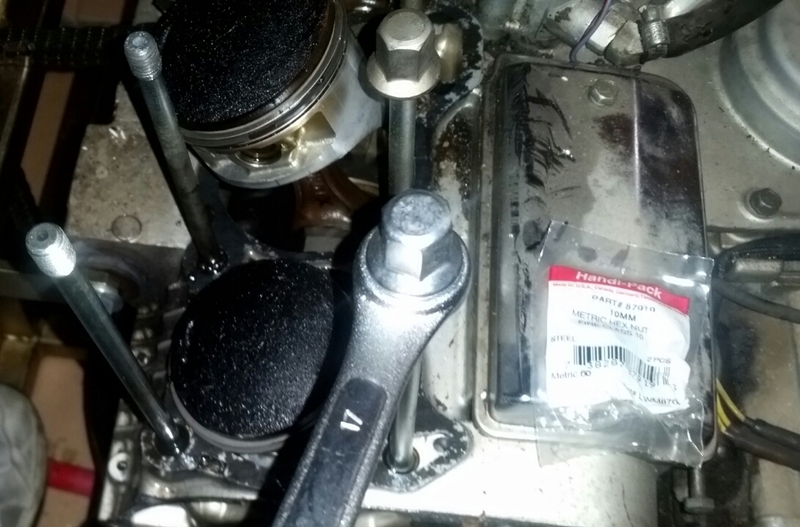 Then just push the pin out enough to clear the connecting rods and lift the piston off. Got the frame, swing arm, stands, and off bits off the bike, cleaned, and to the powder coater. Have spent the in between time tearing into the engine. 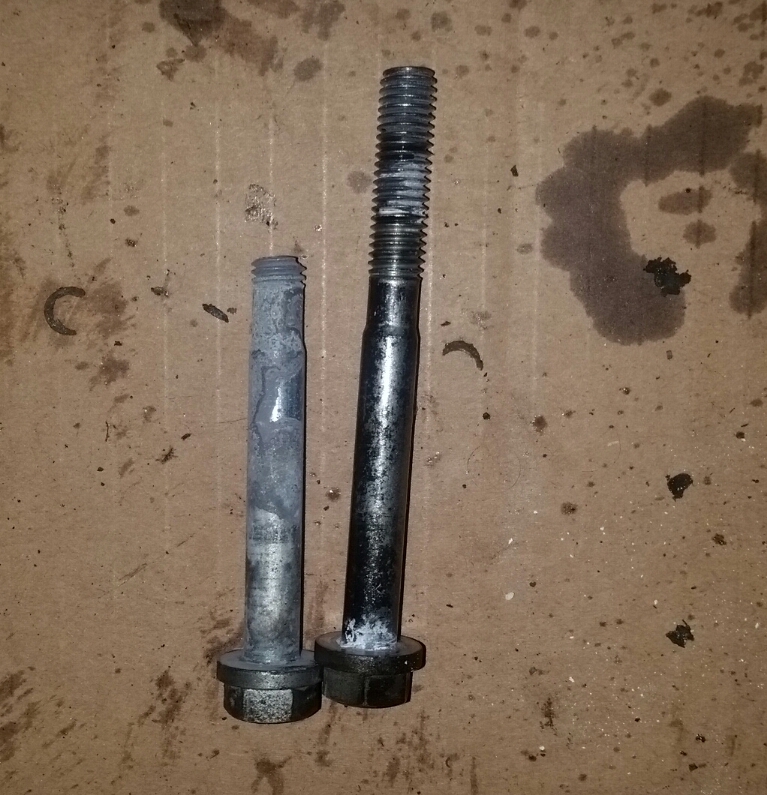 While removing the larger bolts from around the crankshaft one broke. Fortunately, I have a spare set of cases I can use to keep the project moving but I can't seem to get this bolt out. What are everyone's favorite proven method of bolt extraction? With the threads sticking out like that I usually get a nut and thread it down as far as I can and then weld it together. 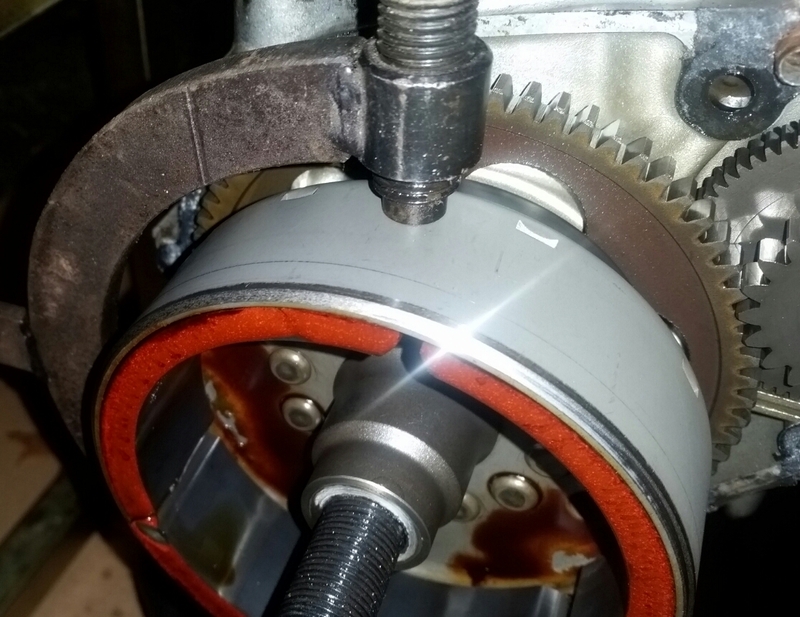 You would want to mask off the bearing surface area probably though to protect from spatter. 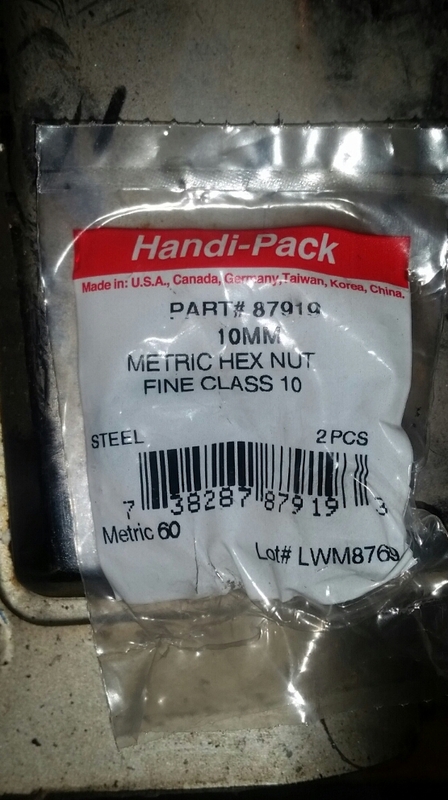 You might be able to try and epoxy (or JB weld) the nut onto the bolt if you don't have a welder. In my limited experience I haven't gotten good results with JB weld. I know I offered, but I have not put a socket in any brake fluid. I have been a little busy, sorry. I'd tap on it with a hammer to loosen it then use vice grips to screw it out. 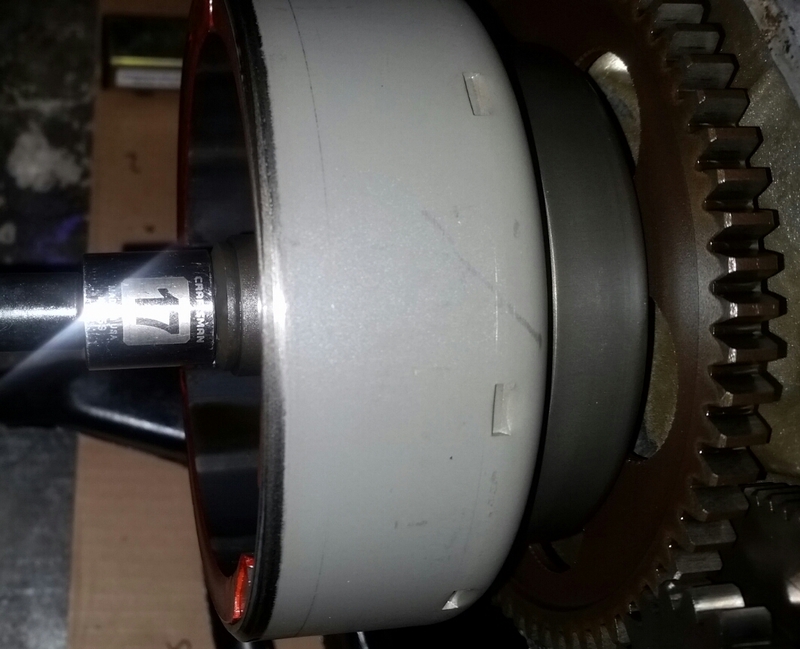 I would finish complete disassembly of the motor and see if any others break. I had 2 bust off on my last rebuild and took it to a local person ( shop ) with a EDM machine and they removed them for me , no muss , no fuss. The process didnt hurt the threads at all..
Last edit: by Street Fighter LTD.